Nominations are now closed. Finalists will be announced early May. What are the Oktane Awards? 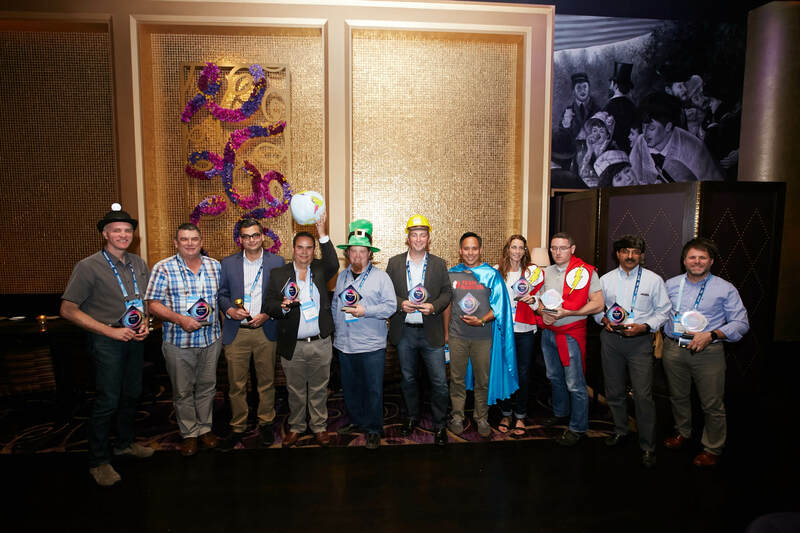 The Oktane Awards celebrate the individuals who equip their organizations with the right technologies to drive innovative solutions to today’s business challenges. We encourage all Okta customers, partners and employees to nominate a customer for an award. We want to hear about the awesome work you, a colleague, or an industry peer is doing that deserves recognition. In your submission please provide details that reflect why this individual stands out. If an individual excels in more than one category, you may nominate them for multiple awards. What can you expect as an Oktane Award winner? You’ll receive recognition as an industry expert throughout the event along with admiration from your peers and social network long after. Winners will also receive a complimentary pass to Oktane19! Nominations close April 13 and finalists will be contacted in early May. Winners will be announced during Oktane18. Customers who challenge the status quo and drive great technological advancements for their companies -- and for Okta. Please share details about the innovative and groundbreaking ways you are using Okta in your organization. Customer advocates taking advocacy to the next level. They're so passionate about Okta, you'd think they worked for us! Please include details regarding your advocacy or “random acts of evangelism” in your submission. Customers effectively extending Okta and “doing it all” to cover both internal and external identity management. Please share details on how you’re managing the identities of not only employees, but also customers, partners or other external users. Customers who have succeeded in rolling out Okta to hundreds of employees and users in a matter of weeks - or even days. Please share details of your lightning fast deployment including number of users, number of days, and your keys to success. Customers who have been around for more than 100 years, yet evolve rapidly to keep up with the cloud and mobile times by driving modern approaches to IT. Please provide details about a champion who took on the massive challenge of advocating for cloud solutions in their legacy IT environments. Developers using Okta as the identity layer for their products and services so they can focus on building the features their customers care about most. Please provide details on your external-facing product or service and how you're using Okta to handle your identity challenges. Loyal customers and true believers of Okta who have brought the power of Okta to a new company and have been successful with more than one Okta implementation. Please include details surrounding all Okta implementations you have championed. Nonprofit customers using the Okta Integration Network to accelerate its mission and deliver lasting impact. Please share how your nonprofit went above and beyond to make a difference and how Okta helped.